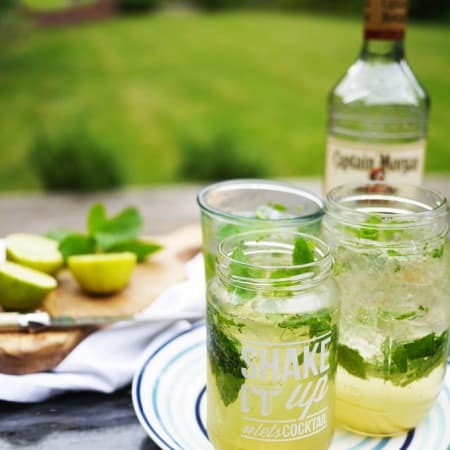 Mash it - throw a handful or mint leaves, sugar syrup and 3 lime wedges into a glass. Mash together to release the flavours. Pour it - load the glass with ice. Pour over your rum. Top up with soda. Serve - Give it a good stir and serve topped with a sprig of mint.